offering hi-tech audio performance as well as support for both balanced and unbalanced audio. This new set of closed-back, over-ear cups include a fancy new driver profile that uses a cellulose nano fibre (one taken from wood pulp, to be precise) to that minimises unwanted resonances while keeping that audio signal clean and powerful. 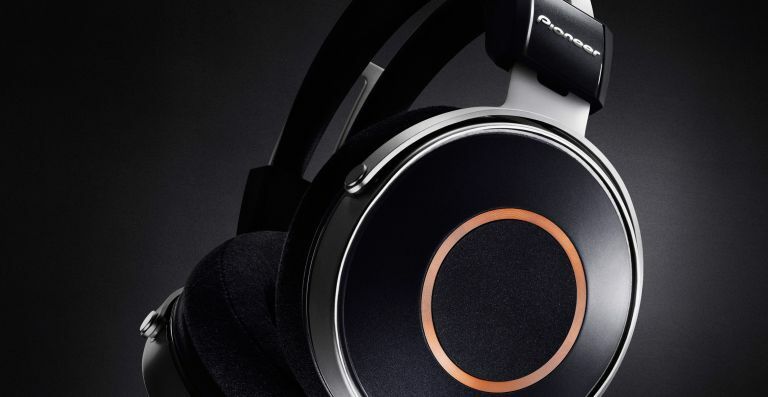 To help maintain that clean signal, Pioneer has also included a patented 'Double Headphone Chamber' arrangement that combines a main chamber augmented with ported sub-chambers (to ensure a tight bass) while a magnesium alloy ‘Full Basket’ is used to fuse it all together. Its cups even come with a 3D memory foam for extra comfort - just like the one used with the SE-Master 1. So while this set of headphones will set you back a pretty penny, you're still getting a lot of features previously only found in the premium high-end SE-Master 1. The Pioneer SE-Monitor 5 will come with a price tag of £999.99, and will be available in June 2017. Lenovo has just launched a brand new family of laptops - the IdeaPad range - covering everything from high-end features to affordable models that won't make you cry at the state of your bank balance. Consisting of the IdeaPad 720, 520, and 320 and IdeaPad 720S, 520S and 320S in S (slim) configurations, Lenovo's new brood of six IdeaPads offer thinner side panels and beveled edges for a slimmer, more stylish way to work both in and away from the office. If performance and portability are important, you can choose between the three ultra-thin S models. The IdeaPad 720S, for example, has up to the latest 7th Gen Intel Core™ i7 processor, blazing-fast Thunderbolt 3 port and up to 1 TB PCIe SSD – weighing only 1.14 kg (2.5 lbs) and 13.6mm (0.53 in) thin on the 13-inch model that’s ideal for mobile workers and students. The range will be released in waves from this month through until July 2017, with the 15-inch IdeaPad 320 starting at €299 and the 17-inch Lenovo Legion Y920 Laptop starting from €2,599. It may have been the Call of Duty entry to finally show the series is starting to lose its dominance on the shooter world, but that doesn't mean Infinity Ward's sci-fi FPS isn't worth a spin now that it's free to download and play all weekend on Steam. That's right - you can play through its surprisingly good single-player campaign (complete with Kit 'THE KING IN THE NORTH!' Harrington hamming it up on bad guy duty) or wall-run your way around its deep and rewarding multiplayer modes. Just make sure you've got plenty of space left on your hard drive. The free-to-play weekend for Infinite Warfare is also joined by a bucket load of discounts across the whole CoD series, including Blacks Ops 3, Black Ops 2, Advanced Warfare and more.